There are several ways you can easily save links to your Zinthu account. The easiest way is to use the browser extensions for Google Chrome and Firefox. For those using Google Chrome as your browser, the easiest way to save items is to use our extension. You can download it here. 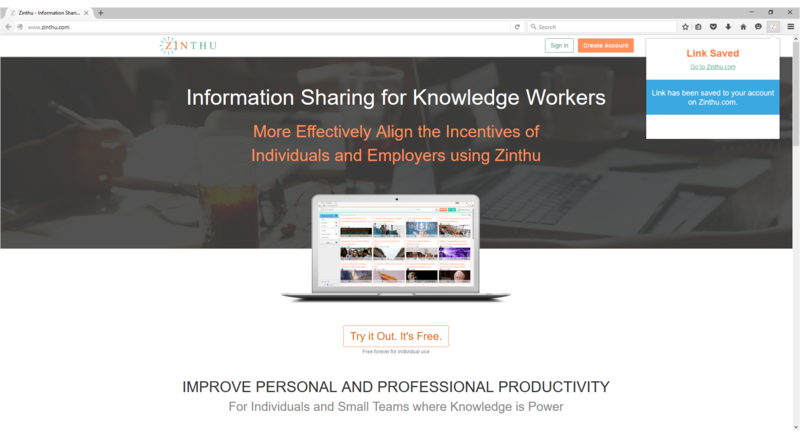 It is simple: once installed, click the button in the upper right corner of the Chrome browser and the link will be saved to your Zinthu account. If you are using Firefox as your browser, the easiest way to save items is to install this extension. You can find it here. It is simple: once installed, click the button in the upper right corner of the Firefox browser and the link will be saved to your Zinthu account. 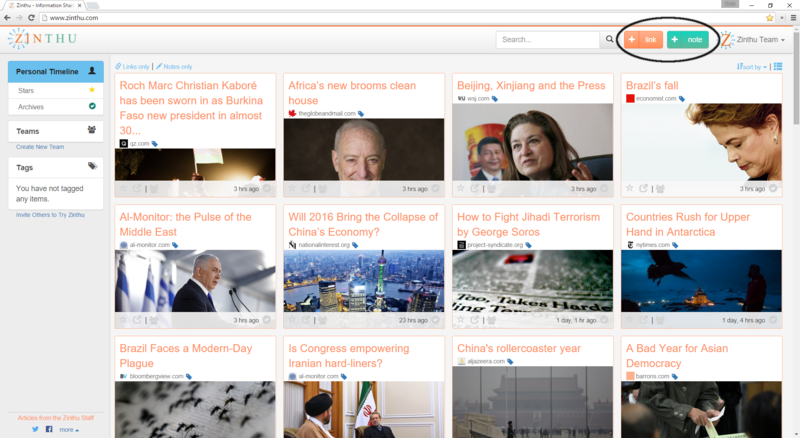 When on the Zinthu site, you can utilize the orange buttons at the top right portion of the page to save links. And, you use the green buttons to save notes. These are on every page, so you can easily find them and quickly save links to your personal timeline and save to specific Zinthu Teams that you are a member. A bookmarklet is a button that can be added to your browser's bookmarks/favorites bar to easily add links to Zinthu. You include it by dragging the button to your bookmarks/favorites bar of the browser you are using (i.e. Chrome, Firefox, Safari, IE, Edge, Opera, etc). After you have included it on your browser's bar, click it when you are on a web page you want saved and it will automatically save it to your Zinthu account. *The bookmarklet does not work on some sites using HTTPS. Our website is mobile friendly, so use your mobile device's browser to navigate to www.zinthu.com and login. You can save items and view your saved items in a visually friendly format. 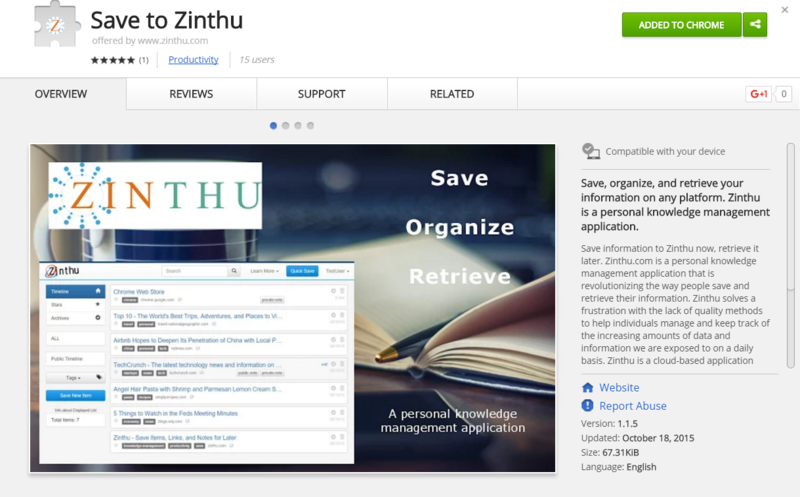 We are continuing to develop new and easier ways to save items to Zinthu and consume content on Zinthu. Mobile apps and additional browser extensions are a few of our top priorities. While our mobile apps are in development, please use our web app on your mobile device. 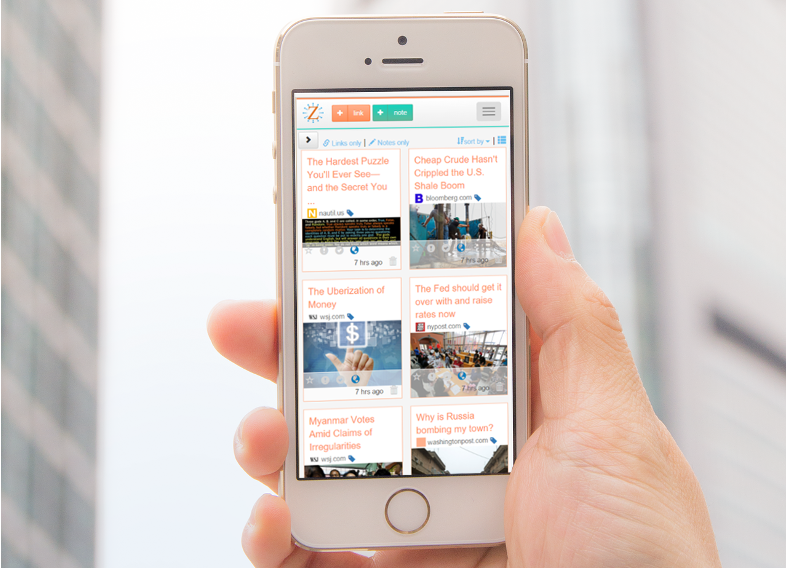 The web version of Zinthu.com is mobile friendly and highly functional.